On Nov. 15, juniors expected to register for classes. As it turns out, the weather, which resulted in a power outage on northern parts of campus, had other plans. 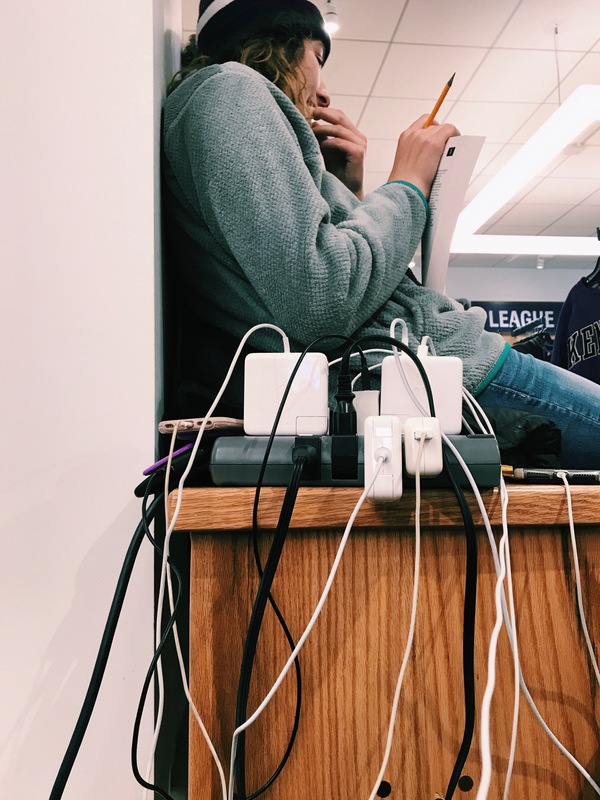 When juniors again tried to register at 7 a.m. the next morning, a second power outage continued to thwart their attempts. From roughly 8 a.m. to just before 3 p.m. on Thursday, the power went out on North Campus after a tree fell onto power lines on Chase Avenue, north of downtown Gambier. 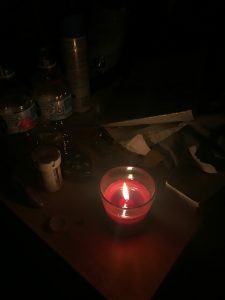 The power cut out again from roughly 12:30 a.m. Friday morning to 5:15 p.m. Friday afternoon as a result of a larger problem with American Electric Power (AEP) transmission lines north of town, according to Chief Business Officer Mark Kohlman. The outage affected the east and north sides of Mount Vernon as well, including Apple Valley and businesses on the furthest east part of Coshocton Avenue, according to reporting from the Mount Vernon News. Throughout the day, students would receive updates through the College’s text and email alert system. The Kenyon Bookstore, the Gund Gallery and Peirce Hall remained operational in a limited capacity from generator power. All classes, with the exception of film classes in the Wright Center, were cancelled. According to President Sean Decatur, the decisions that students received via text were from the Kenyon Emergency Preparedness Team (KEPT), a group of senior staff members including Vice President for Student Affairs Meredith Bonham ’92 and Susan Morse, President Decatur’s chief of staff. This team includes members from the offices of Campus Safety, Facilities and Communications, as well as other key senior staff members. This group was ultimately responsible for decisions regarding class cancellations and sending home non-essential staff. 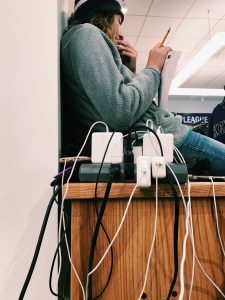 KEPT convened over the phone roughly every two hours from 6:30 a.m. until power returned to campus, according to Bonham. Those who were on campus met in person. Despite KEPT’s efforts to stay up to date, Decatur said AEP was slow to provide updates to the College. Since College officials were not entirely certain what the status of the power outage was, Kohlman said that they were planning for the event that power stayed out overnight. For students who were still on campus, they planned to relocate them to the dorms on South Campus that had steam power and thus could remain heated: Old Kenyon, Hanna, Leonard, Manning and Bushnell. At 4:01 p.m., the College sent out an alert informing students of “important changes to operations overnight,” highlighting the need for students to prepare to relocate to these spaces either by staying in a friend’s room or by sleeping in one of the buildings’ common rooms. As of roughly 5:15 p.m., power returned to campus, and a Kenyon College alert via text announced that all residences were to remain open. According to Kohlman, there was no damage from the outage. “I would not say that there were any repercussions. I mean, I think we were lucky that it was the last day before break, so half of the students were already gone,” Kohlman said. During the power outage, Ethan Bradley ’20 was giving a tour to prospective students that he said was successful. Students were shouting out of dorms, telling prospective students to “come to Kenyon,” according to Bradley. “The power outage felt like a rally-around-the-flag effect for the campus, a ‘stronger together’ kind of thing,” he said.